This is an outstanding short story that I managed to devour in just one sitting. Rarely does an author so courageously expose truths, realities and day-to-day struggles of a boy who finds it difficult to fit in to society. Jake tells us his disturbing story from a first person narrative which gives the reader a real insight in to his tangled thoughts and feelings that you can somehow sympathise with him and understand his unbalanced mind, while nervously anticipating what he will do next. Jake has quite the back story, as he comes from a dysfunctional family who put his safety, health and wellbeing at risk which results in him being moved from one adoptive family to another before he ends up in the Home and yet another Home before he commits his greatest atrocity in his short life so far. 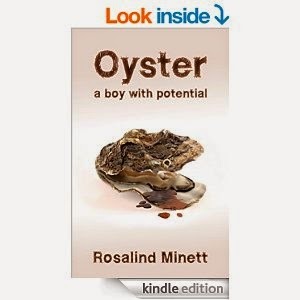 Make no mistake this book is a real frightener, albeit a book of fiction and a major credit to Rosalind Minett who knows her stuff when it comes to the workings of an unbalanced mind besides having a literal talent to depicts things of an unnatural nature.